We all know this picture, right? 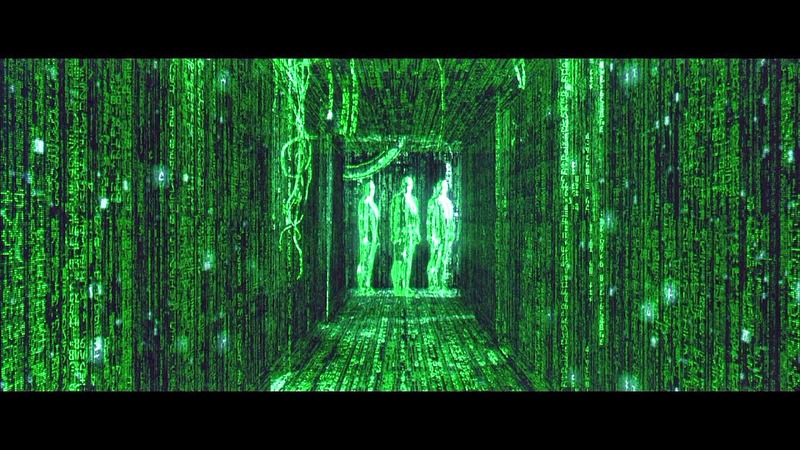 It's Neo seeing the Matrix for what it is, a digital simulation of its reality, a construct BRT wrote about in The Red Pill, a piece done a year ago discussing how researchers are finding similarity of the propagation of cosmic rays to the 3D render space of computer graphics. http://arxiv.org/abs/1210.1847 Seems the NYTimes has picked up on this a year later in an article titled, Is the Universe a Simulation?, a well written blurb using the same source as BRT's in showing why this "crazy" notion may ring true due to the unique properties of mathematics, a discipline wholly independent of time and space, connected to yet forever separate from the complex reality in which we all live. Many mathematicians, when pressed, admit to being Platonists. The great logician Kurt Gödel argued that mathematical concepts and ideas “form an objective reality of their own, which we cannot create or change, but only perceive and describe.” But if this is true, how do humans manage to access this hidden reality? We don’t know. But one fanciful possibility is that we live in a computer simulation based on the laws of mathematics — not in what we commonly take to be the real world. According to this theory, some highly advanced computer programmer of the future has devised this simulation, and we are unknowingly part of it. Thus when we discover a mathematical truth, we are simply discovering aspects of the code that the programmer used.